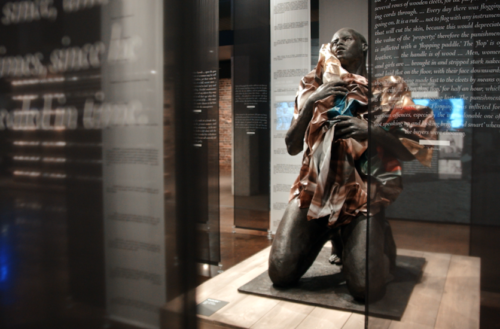 The first-ever museum and memorial commemorating Black victims of American white supremacy opened yesterday in the city of Montgomery, Alabama. The Legacy Museum and the National Memorial for Peace and Justice both stand where slave warehouses once did. The museum has educational displays on the brutal legacy of American white supremacy, and the lynching memorial has haunting sculptures commemorating the 4,400 known Black lynching victims killed in the United States between 1877–1950 (roughly from the end of the Civil War to the beginnings of the Civil Rights Movement). The memorial contains 800 brown metal rectangular boxes, each measuring about 6’5″ tall, suspended from the ceiling. Each one bears the names of known lynching victims. As visitors approach the memorial, these rectangles appear at eye level, but as they descend into it, the boxes hover overhead like bodies hanging from nooses. Bryan Stevenson, the founder and executive director of the Equal Justice Initiative, the Alabama-based judicial activist group who spearheaded the museum’s and memorial’s creation, says he hopes the new spaces will help America reckon with its violent history against black people, from slavery to Jim Crow to mass incarceration. He also hopes it can provide a place for recognition and confession of our country’s past wrongs as well as a place to reflect on how modern-day racial justice efforts can move us towards true freedom and justice for all. The 11,000-square-foot museum contains historical exhibits related to white supremacist violence against Black bodies. Curators said they had to balance between explicit, brutal images (which can dehumanize Black people while distracting from historic fact) and allowing visitors to choose how much to see. Most of the lynchings were publicly sanctioned, with police either ignoring or attending. In some cases newspapers advertised lynchings as public events, inviting families to watch while picnicking with their children. 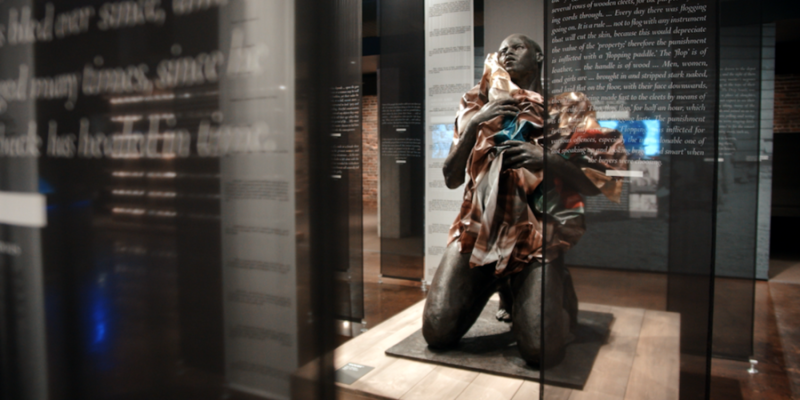 The museum and memorial connect the idea of public lynchings to modern-day mass incarceration and criminalization of Black spaces, political realities that have sadly become more prevalent than lynchings ever were. 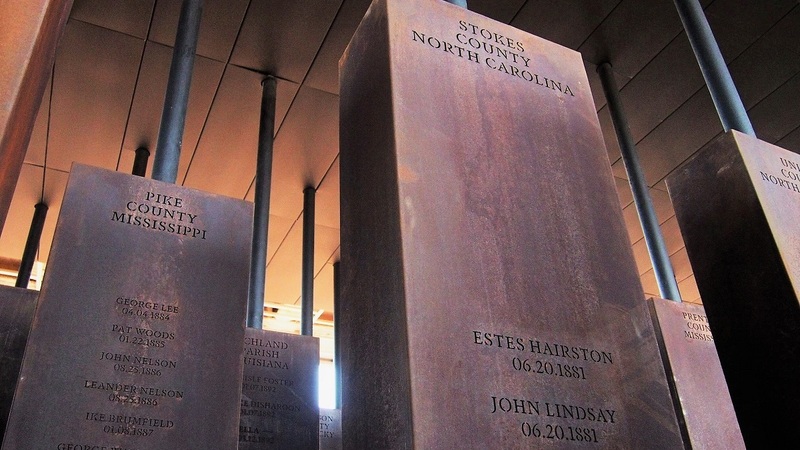 Will you be visiting the Legacy Museum and lynching memorial? Sound off in the comments.